More than 200 Muslim scholars came together in Grozni, Chechnya, for a conference on Islamic issues. They attended from Russia, Syria, Turkey, India, the UK, Lebanon, South Africa, Jordan… and Egypt had a very strong presence. There are two ideological schools in Islam, namely the Sunni and the Shia, in addition to the Sufi school which runs across both, being more of an behavioural outlook on life than an ideological school. Sunni Islam has two main theological schools (Ash’ari/Maturidi and Mu’tazilite) as well as four major legal schools (Hanafi, Maliki, Shafi’i and Hanbali). This conference was organized by Sunni scholars, for Sunni scholars. and the city of Medina (or Al Madina Al Munawwarah, the “Radiant City” or the “Illuminated City”) where the Holy Prophet Muhammad is buried. Egypt, with a population of about 92 million, carries much political and religious weight because Sunni Muslims generally look up to the positions of Al Azhar and its Imam, as well as the grand mufti of Egypt, as the top religious authorities in the world. Egypt is tremendously rich in history, culture, arts, personalities, and has a strong presence in the region in terms of politics and military power, as well as economically. Egypt is therefore considered the center of mainstream Sunni Islam in the world. Saudi Arabia, although about twice as large in area size, has a population of about 30 million, and has none of the diversity and richness of Egypt in any dimension. Since the 1940’s when oil was discovered, it has been doing what it can to position itself as the main power in the region, having now become the largest importer of arms in the world and often being overtly and directly involved in the internal affairs of its neighbouring states. Saudi Arabia is home to Wahhabism (who themselves prefer the term Salafis and scripturalists), an ultra-conservative branch of Sunni Islam, under the Hanbali school of Islamic law. Generally speaking, the reverence that Muslims have for Saudi scholars stems from the symbolic significance of Islam’s 2 holiest sites being in Saudi Arabia, as well as the unmatchable funding that Saudi Arabia uses to propagate its ideology and promote its policies. In 1744, one of the descendants of that man, Muhammad ibn Saud ibn Muhammad ibn Muqrin (d. 1765), [his father’s name, Saud, being the name based on which present day Saudi Arabia is named] made a pact with a rogue religious scholar called ibn Abd al-Wahhab (d. 1792), the founder of the Wahhabi movement. The latter was running away from the wrath of many Islamic scholars, including his father and his brother, who had run out of patience with his un-Islamic and unacceptable ideas and who considered him as having deviated from the religious teachings. He came to a little place called Ad-Diriyyah seeking protection, and was allowed to become the much needed religious and ideological façade of the Saudi family, in return for political and military protection and wealth. Their oath of loyalty was made official and public by marrying the son of Ibn Saud’s son (Abdul Aziz d. 1803), to ibn Abd al Wahhab’s daughter. 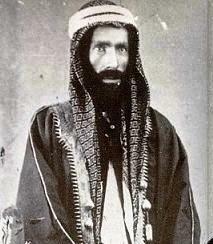 Today, about 300 years later, the two families are still very intertwined and closely knit and the descendants of Abd al Wahhab hold a prestige similar to that of the Saud family (descendants of ibn Abd al Wahhab carry the family name Al ash-Sheikh who form the majority of the clerics in Saudi Arabia). This conference is creating all sorts of buzz. 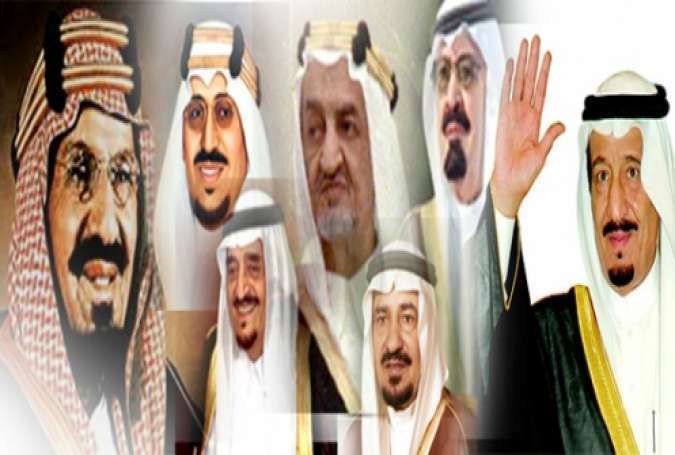 As we speak, the Internet is brewing with tweets and articles, especially from Wahhabi and Saudi scholars, hoping to attract the world’s attention to the “coup” that is being staged against them by the evil false scholars, who are conspiring against the poor victims that they are. 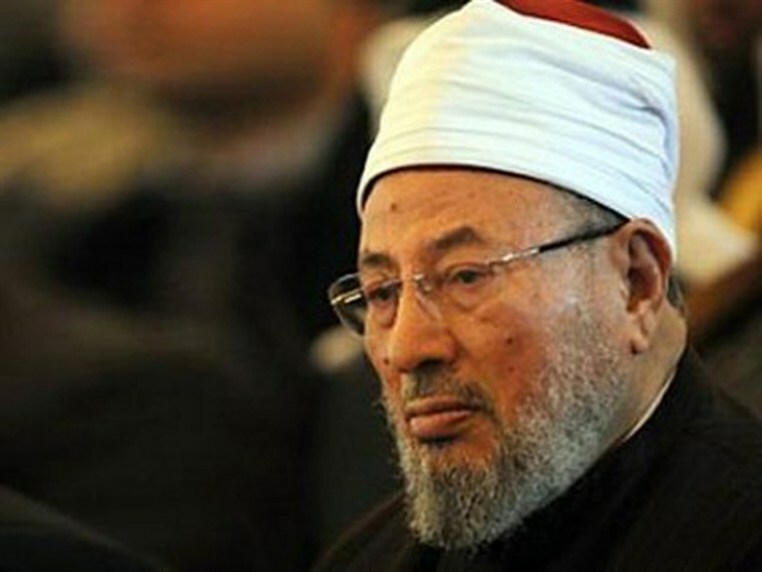 Instead, the conference saw the participation of Ahmed el-Tayeb, the current grand imam of Al-Azhar, and previous president of Al-Azhar University, as well as previous Grand Mufti of Egypt. Notable deliberate exclusions include Yusuf al-Qaradawi, the Egyptian scholar who has been instrumental in the promoting the ideologies and policies of the Saudi Arabia and its allies, and who currently resides in Qatar. 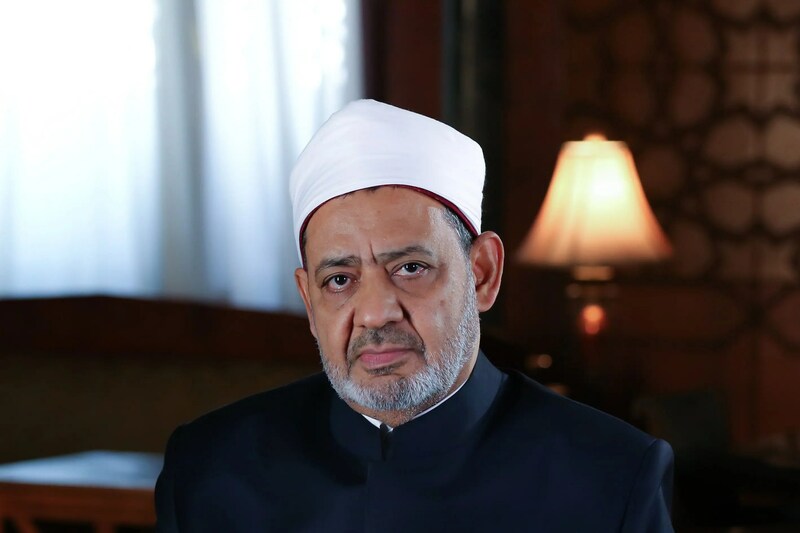 Al Azhar issues a statement explaining that el-Tayeb did not exclude the “scripturalists” and always tries to be inclusive in all his participations and speaking engagements because he believes in the importance of unifying the differences within Sunnism without excluding anyone. But this statement seems to have been in vain so far. It would not be surprising to see very soon, an international and prestigious conference funded by Saudi petrodollars, to counter the conclusions of the Chechnya conference, in order to re-establish its “Islamic leadership,” as it often refers to it. you self ejected your self from the fold of islam. enmity becomes a must up on you and us untill you returned to your pure islam that is mainstream saudi salafism. Dear visitor of my blog. Thank you for leaving your comment. It was only 31 words (it should have been 30 words, because you made a couple of mistakes, one of them being that you split a word into two words…). As short as your comment was, it said everything it needed to say to prove the main points highlighted in the article. Here are my remarks on your comment. 2. Generally: If you disagree with some of the points made in the article, I think that it would be more productive to have a civilized discussion about it, instead of declaring your “enmity” and hatred. Do you agree or disagree with this? 3. What do you mean by “you” at the beginning of your comment? 3. a. Do you mean me personally? If so, what do you know about me to claim that I have “self ejected from Islam”? 3. b. And if you mean some collective “you”, please explain who is that group in which you are lumping me please. 3. b. i. Did the possibility that I do not belong to the group (in 2.b) ever cross your mind, or do you not care about the facts, and prefer to work with assumptions? 4. Can you please explain exactly how did I “self eject” from Islam? Was it consciously or not? Do I know what I’m doing, or not? Am I stubborn or not? Am I harming anyone else with my “self ejection” or not? Or don’t your Islamic teachings distinguish between any of these points? 5. a. Can you please explain how “fold of Islam” is actually established? Who decides who is a Muslim and who isn’t? You? 5. b. Do you mean something specific by the word “fold” or are you simply using it as a rhetorical artifice? I ask because maybe you think that there is a wider sphere called Islam, and in that sphere there are those who are “in the fold of Islam”, while others, who although still Muslims, are at the periphery or the margins. Can you be a Muslim without being “in the fold”? 6. “enmity becomes a must”: in what ideology would “enmity” ever become a “must”? Are you telling us that your belief system or your value system is such that you are now obligated to carry enmity towards me (personally)? 7. Can you please explain what you mean by “must”? Is this an ethical, deontological or categorical imperative? A logical necessity? A philosophical or mathematical necessity? A legislative requirement stemming from your theological ideology? What kind of “must” is it, so that we can discuss this necessity, if you believe in discussion. 8. a.	first, in the manner in which you are using “upon,” it is written as one word (upon), not two (up on). The reason I mention this is that if you are ignorant enough to make mistakes such as these without noticing, perhaps you will realize that you may also be mistaken in thinking that your necessary hatred is also a mistake. I hope you see that it’s at least possible that you are mistaken in some of your beliefs, right? 8. b.	Secondly, I understand that for some weird reason (see 6) you carry enmity towards me or towards us (not sure which one, see 2). But are you claiming, as per the second part of that statement (upon you and us), that I actually have enmity towards you? Or are you claiming that I ought to have enmity towards you? 8. b. i. Why would you think that I have enmity towards you? You really don’t know that much about me. Maybe if you got to know me, you would think that I’m a cool guy, and you would maybe ease up a little on the enmity thing? You can buy me an espresso and it will be like oil, I mean water, under the bridge. 9. b. iii. explain to me how you are establishing that this Islam is pure, while that one is not pure. Do you decide that on your own? Every Muslim who agrees and disagrees with you believes that they are following pure Islam, and everyone else is mistaken in some things. Is your only solution to this problem a necessary mutual enmity until everyone agrees with you completely? 9. c.	Are you actually equating pure Islam with anything Saudi?! What is wrong with you! I am not even sure that you king Salman would agree with you on this, because he is record stating that there is no difference between the way Islam is practiced in Saudi Arabia and the way it is practiced elsewhere (although many would beg to differ). Why in the world would there ever be any distinction to Saudi Islam? If you simply mean that there is a cultural variation, cultural variations are irrelevant to the actual belief system revealed by God. And if you mean that Saudi Islam is somehow superior, this is simply racism, and if you followed Islamic teachings, you would know that Islam forbids racism explicitly and unequivocally. And if you are following those who created “saudi salafism” (among many other names) simply to avoid the name “Wahhabi”, please keep reading until the end, where I will tell you why I insist on calling Wahhabis “Wahhabis”. 9. d.	And finally, you are claiming that not only does “pure Islam” have to carry a “made in Saudi Arabia” label, but that it must be Salafi. 9. d. i. What if someone is Saudi, and Muslim, but not Salafi, in which category of hatred and enmity do you place them? 9. d. ii. What if someone is Salafi, but not Saudi, how much enmity do they deserve from you? 9. d. iii. Sometimes we are delusional when it comes to ourselves, thinking for instance that we are a lot bigger or more important than we really are. So let me help you by holding a mirror to your face. 9. d. iii. 1. Do you realize that Salafism has many types, and you are talking about only one school of Salafism (Wahhabi Salafism)? Do other Salafists also deserve your enmity, or not? 9. d. iii. 2. Do you realize that your type of Salafism (Wahhabi Salafism) is but one of the many schools of Islamic law, besides the 4 major schools of Sunni law for instance? 9 . d. iii. 3. Do you realize that there are many schools of thought that don’t even belong to Sunni thought, such Shi’ism, Sufism, and other belief systems who all consider themselves Muslims, or not? I understand that you are really trying to make a point that you dislike being called Wahhabi, so you referred to yourself as an adherent to Saudi Salafism. The problem is that not all Salafists are Wahhabis. And Wahhabi thought is at the root of so much evil in the world today, that it would simply be unfair to anyone, even those as close to your thinking as other Salafists, to lump you together. Furthermore, many analysts have made compelling arguments that Wahhabi have presented their thought and movement in Salafist terminology to make it more “Islamic” to other Muslims, who would reject Wahhabism if they knew what was being presented to them openly. So I insist on calling you what you are, Wahhabi, because there is no other one word name that identifies you clearly while distinguishing you from all others. You are a follower of a man named Muhammad bin Abd al-Wahhab, so you are a Wahhabi. •	that you see yourself as being superior on racist grounds, etc. Wahhabi = Salafi Tikfiri Barbaric Savage Fanatic Illiterate Ignorant are the malignant of Muslim Ummah and cancerous on Arabs and parasite on humanity. Explaining the criteria will make it easy for everyone to know and understanding what was and is happening here….. I do not know the criteria either, and I agree that clear criteria for participation would make things a lot more “black and white,” so to speak. I simply read a few articles and saw many links and comments from people, especially on social media and Arabic news outlets, and thought that it may be interesting for those who are not in that sphere to know what is going on, because this can become significant, depending on what happens next… Saudi Arabia, along with its journalists, scholars, politicians and monarchy, are waging an open attack on the conference, and many Sunni scholars seem to be siding with it at this time. As for those who organized or participated, they have been very quiet. My entry was not to say that I agreed with the conference itself, or its conclusions, or its timing, or its location, or any of that. Obviously, there is a lot more than can be said about the timing and the location for instance, especially when considered in light of everything else going on in the world… I simply found it interesting and worthy writing a little entry about. Very interesting. Is the timing related to the Hajj? The war in Syria and the Russian – Saudi involvement? I am non – Muslim, my knowledge is limited. I thought that the oldest university in the world is al-Qarawiyyin University in Morocco? Thank you for spreading news about this conference, which should have been organized 20+ years earlier, but then only a few very bright and brave understood the issue. I’d like to point to something I consider a mistake, because you identified the Maturidi school with the Mu’tazila, the way you mentioned both with a slash between them. Please take note that there is nothing more far from truth, as Maturidi and Ash’ari schools are almost identical (and were practically and by unanimous approval united in the Tahawy creed), while the mu’tazila is out of the sunni path. Thank you for pointing out the mistake – which was not intentional. The slash was supposed to be between Ash’ari and Maturidi, not between Maturidi and Mu’tazili. I didn’t want to get into the differences in detail in this entry so I thought that, for the purposes of this article, I can lump Ash’ari and Maturidi together to help the reader understand their closeness as opposed to the Mu’tazili school. I write my entries very fast and dont review them before publishing – that’s why you will find typos and these kinds of mistakes in many of them. When I have a bit of time, i go back and fix what I notice… I rely on the good eye of the readers. Thank you! anything that preaches hatred, animosity to other fellow human being, cannot be the Islam the religion of most Beneficial Allah. its time this should be shown to all those who under the garb of Islam are doing disservice to this religion. Saudis were planted by the english imperialistic to safeguard the jews then and in future, saudi embassy in tel aviv is living testament. No doubt that Iran is the face of “Evil” on this planet and they have proved this by sponsoring this conference by taking Russian help in supporting this “Fitna”. This will only create confusion and chaos in Islamic world. When I say “Islamic” world, Iran is automatically out of this Islamic world because they are referred to as “Kafirs” by most Sunni countries. Iran is trying hard to project itself as the leader of Islamic world but inshallah Allah knows their intentions and Allah will destroy these “kafirs”. Shame on those so called “Islamic Scholars” who attended this conference. Their are not scholars they are Evil Scholars who is helping a Kafir state to propagate their false propaganda. May Allah give them true and real sense of thinking and understanding. All Sunnis should untie against this “Evil State” and crush its Evil propaganda against Sunnis and Saudi Arabia. “O Allah please save us from this Evil state” Aumeen!! Your statement is full of hate to other fellow human being. By the way: there is no Saudi embassy in Tel Aviv, Saudis were not planted by nobody and Jews are human being. Given the country to rule in exchange for allegiance to the US ?? You sure you got your dates correct ? By spreading hatred against each other we are doing no good to Islam. At the end of the day we should ALL be the followers of the only deen Islam given to us by Allah SWT through Mohammad SAW. A historical correction: they were given the country to rule in exchange for their allegiance to the UK and their opposition to the Ottoman Khalifate. The US only came into the picture after World War II. Initially, the UK did support them, but the UK was also supporting other groups (such as the Hashemites who also wanted to rule over the Arab Peninsula and the entire Islamic world if they could…). Superpowers with proxy regimes always maintain their support to multiple opposing forces to keep them balancing each other, and to be able to use any of the other forces when the time comes to replace the one in place (you can see this anywhere in the world today). When the Hashemite leader refused to play nice and do as they were telling him, the UK stopped supporting him financially, and that’s when the Saudis became their clear choice. Fast-forward a little, and the US is now the superpower, and they see their interest in securing unrestricted access to oil through the Saudis, since Iraq and Iran, etc. were already being explored by the UK, France, Germany, etc. So both the UK and the US can be said to have kept the Saudis in place all this time. As a Muslim, I think you have a responsibility towards yourself, to Islam, and to the rest of humanity to take position about Wahhabism. This ideology keeps growing, and is fueled not only by Saudi Arabia and its satellite Gulf states, but also by the US and Europe to do much of its dirty work. Do you sincerely feel that what the Wahhabis do is representative of Islam? Does Al Qaeda or ISIS represent you as a Muslim? Many Muslims want to make sure the world knows that you cannot lump all “Muslims” under the same heading. Since the day Wahhabism was founded, Wahhabis have killed a lot more Muslims than non Muslims, and they continue to do so every single day all over the world. Iraq, Syria, Afghanistan, Nigeria, Lybia… are all countries where Wahhabis under one name of another are terrorizing and killing innocent people, mostly Muslims. and Muslims are fed up with the rest of the world not realizing what’s going on. But I guess you would like to extend your hand to them in peace, and you consider any critique of Wahhabism as “spreading hatred against each other,” but their killing of everyone who disagrees with them as spreading love and unity maybe? I don’t think there is any relevance in mentioning Iran, as it had nothing to do with my entry. Your comment does not address the topic: what do you think about Wahhabism? Does it represent you as a Sunni Muslim or not? Iran, like every other country, has its own geopolitical agenda, and is playing the same game as everyone else, so I don’t see how they are more “Evil” or in fact “the face of Evil on this planet”! Can you please provide some evidence that they sponsored the conference? Did they send any of their scholars or delegates to the conference for instance? What is the “fitna” that you speak of exactly when you say that Iran is sponsoring and Russia is supporting this fitna? Is the fitna according to you merely someone saying that Wahhabism does not represent Islam nor the crushing majority of the Muslims of the world? Do you realize that there was no such thing as Wahhabism before 2 centuries ago? That the entire ideology is based on Ibn Taymiyya’s opinions, which were considered devious and corrupted by many scholars during his lifetime and until today? Do you seriously think that among the thousands on top of thousands of scholars in Islam in all the different Islamic schools, it it is only Ibn Abd al Wahhab and Ibn Taymiyya who understood Tawhid and Islam??!?!? And no, Iran is not considered “Kafir” by any Sunni countries, and the proof is that they are economically and politically very close (you need to read a bit more I think). Saudi Arabia sent a message to Iran saying that what the Saudi Grand Mufti just said (that Iran are not Muslims) is not Saudi Arabia’s official position. What do you make of that?! Why are you so filled with hatred towards others? How can you deny the Islam of almost 80 million people who say the 2 Shahada, pray five times a day, fast Ramadan, perform Hajj, pay Zakat, and believe in the afterlife?! Did God make you his custodian over heaven and hell? What is done to your hearts and minds that make you so filled with hatred? •	Saudis form “takfiri” groups and arm them (“takfiri” meaning someone who declares everyone who disagrees with them non-Muslim) in Yemen, Iraq, the Levant, Libya, etc. Following Ibn Abd al-Wahhab, Wahhabi scholars encourage the killing of everyone they disagree with very casually, openly and regularly. so in light of what you wrote above, how do you feel about Jews? 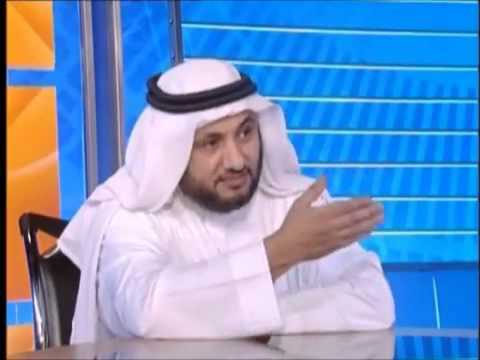 Thank you so much for your insightful analysis on the evils of wahabbi/salafism and the ignorance of it’s followership. I am a Nigerian and I know the dangers this heretic group had posed to our unity. Boko Haram is an important offshoot of the same Wahhabi Takfiri ideology. The Izala sect which gave birth to it and nurtured it into maturity were the main cause of our problem. Their hypocritical posture and cunning behavior is still casing us headache. We learn that the Saudi Govt with its wahabbi/Salafi institutions were now clandestinely distributing admission to thousands of innocent children from their he Northeast where I come from and especially Borno the epicenter of the crisis. This has to be checked or else we will at the later part of some years to come wake up to an ISIS scenario. May Allah protect s and our faith. Thanks eruditeblogger for your services. Dear brothers and sisters in Islam, we are not supposed to criticise or comment like this as it may hurt other Muslims. As a Muslim we here to obay the orders of our beloved prophet (peaceand blessings be upon him) and thereby to please Allah. Please stay away from these sectarianism and may Allah azzawajal make us come together as a follower of the seal of prophet. What nonsense? This is the work of some fake Muslim’s who hates Islam and Saudi Muslims. Abusing Saudis as Wahabis is the kufar ways. Obviously, Saudis are Sunni Muslims. Wahabism is their tribal ID not Islamic ID. Why abuse them as Wahabis? I would like to know what are they doing wrong to earn the hatred of the world. I know the fake Imam Agakhan an atheist hates Islam, Allah, Quran and Muslims. He is the number one enemy of Islam and Muslims. Also I know Iranian Shia hates Saudis as they are holding the Flag of Islam and are custodian of Kaba, appointed by Allah. Shias want to take over Kaba and sacred Mosque. Since some of us the Agakhani Ismailis converted to Islam from Agakhan’s cult we are abused as Wahabis. Are Chechan and other Muslims practicing original Islam? My request to them all to let us know what practices of Saudi-Wahab you think are wrong-non-Islamic? Please don’t ignore it. Let us know.